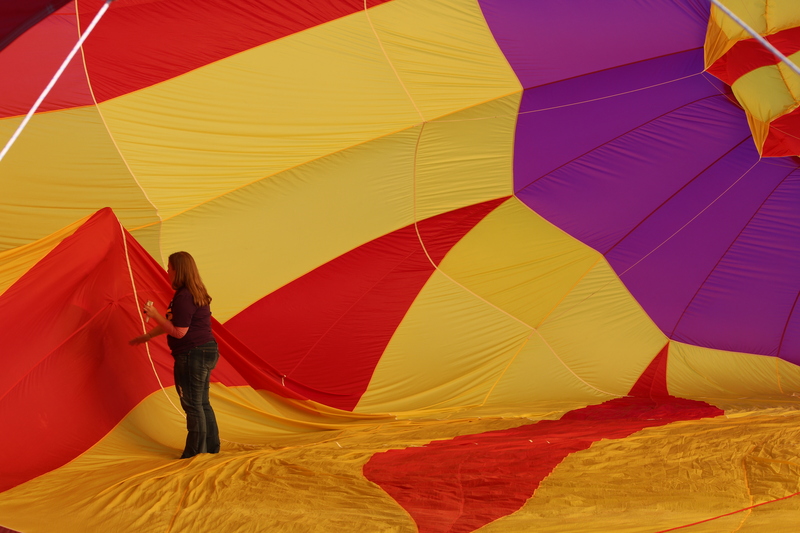 Pulling strings to launch the big ones: Albuquerque’s Balloon Fiesta | Oh, the Places We See . 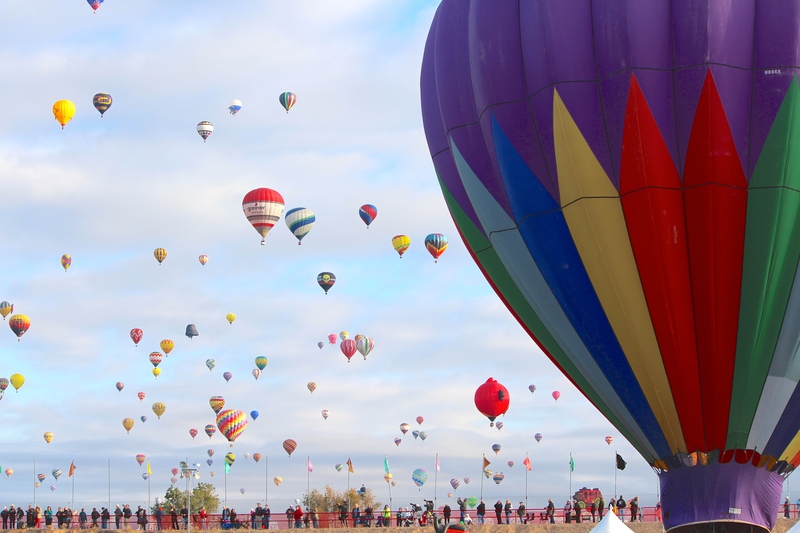 . .
← Best advice for Albuquerque’s Balloon Fiesta: Go early. Really early. 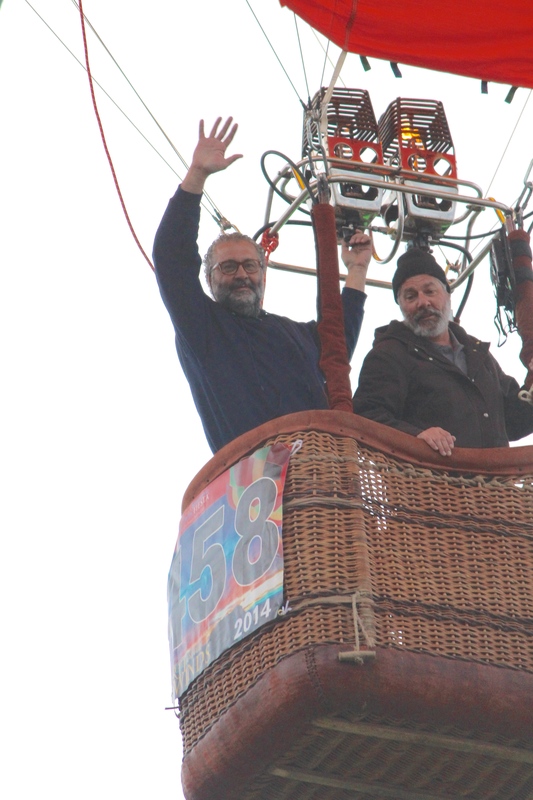 Far be it from us to pretend to be experts on what makes a successful balloon launch. 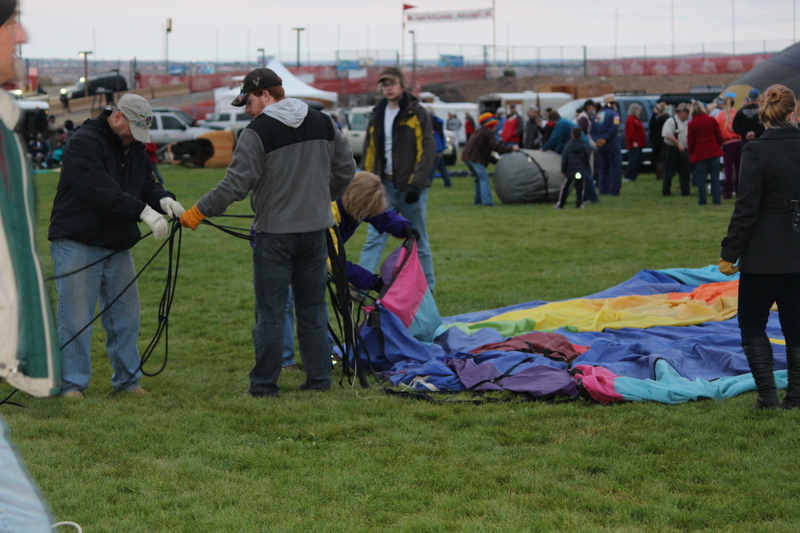 But as we said in our first post in this series, Best advice for Albuquerque’s Balloon Fiesta, with just a plain ol’ general admission ticket (prices here) you can stand on the launch field and watch crews fire up the big ones right before your very own eyes. We never observed the process from start to finish. Since it was our first experience at Albuquerque International Balloon Fiesta, we had a hard time focusing: “Look here. No, here. Wait, there goes another one. OMG! They’ve almost got that orange one up.” And so, we flitted — running even — to watch another and then another and another. 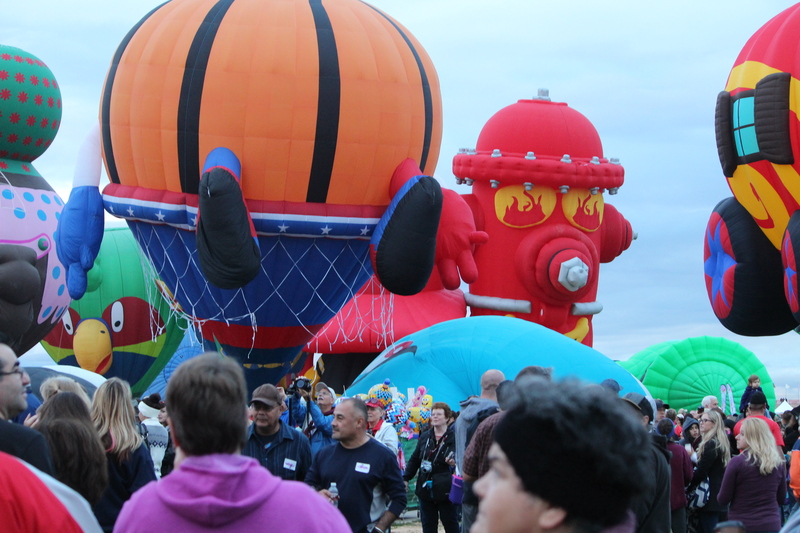 A crowded launch field as spectators move in to watch balloons lift off at the Special Shapes Rodeo. Basically, though, launches go a little like this. You spread out the balloon on top of a tarp on top of the field. Then you (and your best friends, family, and whoever else you can conscript) tilt the basket on its side while holding the strings attached to the balloon. 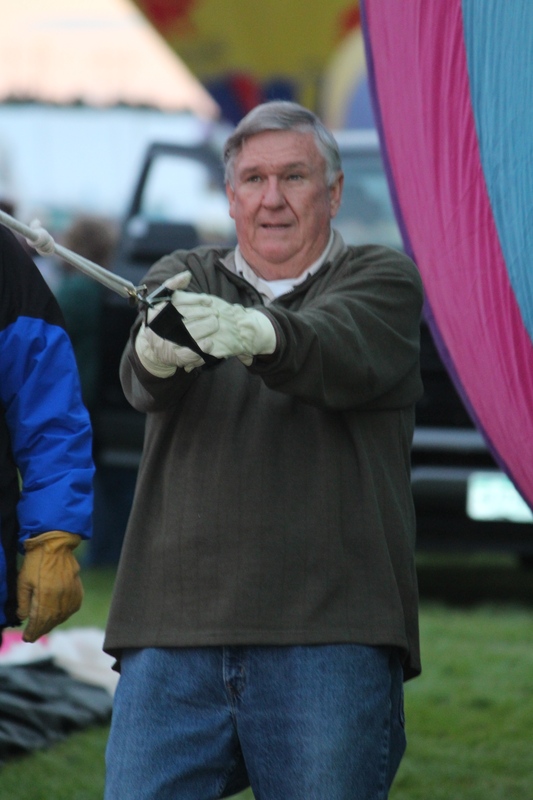 Initially, you get the balloon straightened out and hold the strings attached to the balloon. 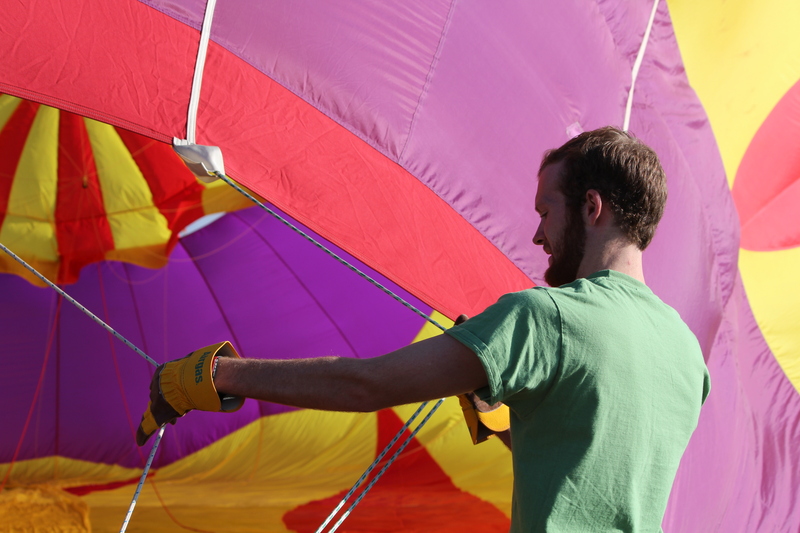 You send up flames to heat the air and inflate the balloon — holding on, tugging, straightening. 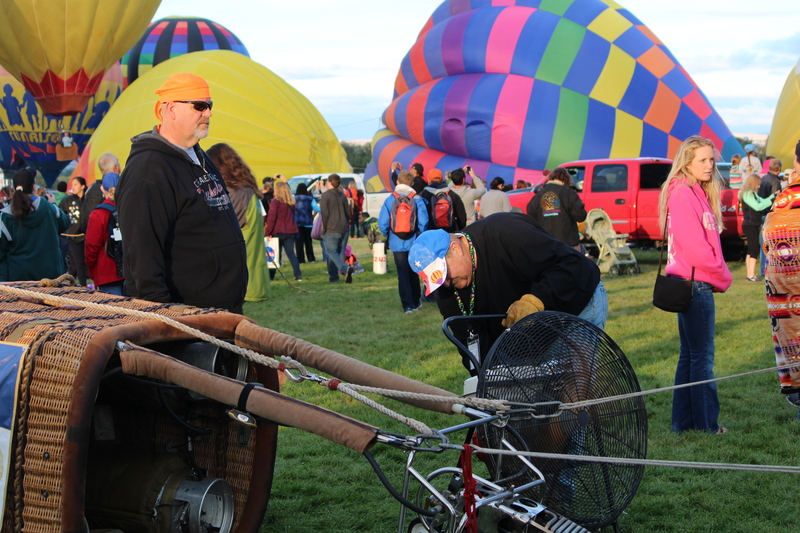 Inflating the balloon with hot air, big fans. Then you (well, some folks at least) check for tears, infirmities, places of stress, etc. Checking the interior — one more time! Add air. Hold on tight. 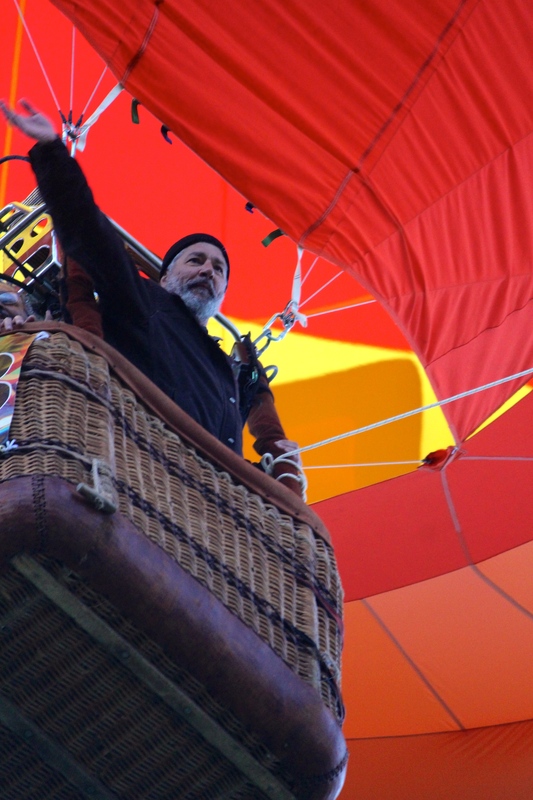 And then you get ready for the big upturn as the hot air balloon rises, positioning the basket upright, while the crew hangs on. When the riders climb in, they give a signal that it’s time to launch. Waving to the crowd and crew at Albuquerque’s Balloon Fiesta. And the crowd yells. You, however, just stand there in awe of the magic of lift-off in the early morning air! 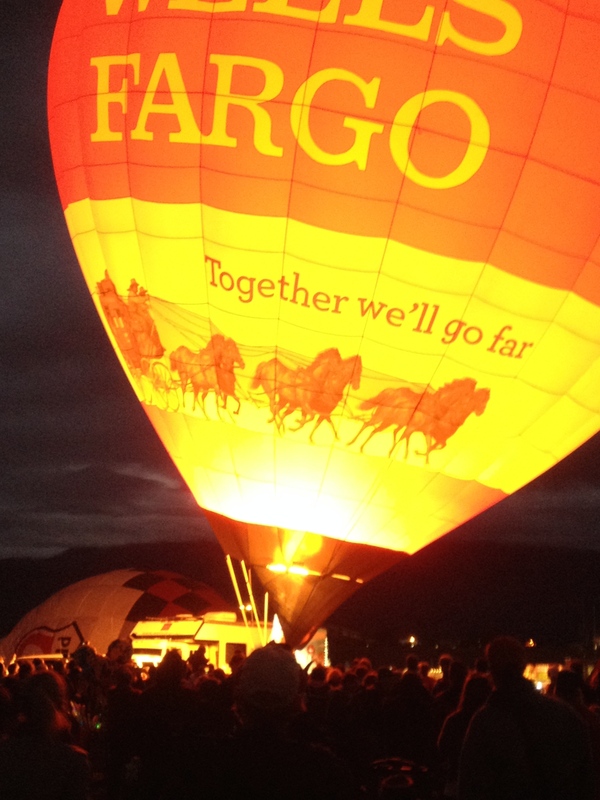 The crowd cheers on the Wells Fargo balloon as it nears lift-off! Because basically that’s what we love to see — the up, up, and away part — as balloons float through the New Mexico skies to who knows where. And you can’t take pictures fast enough! This entry was posted in Boomer Travel, New Mexico, Travel and tagged Albuquerque, Balloon Fiesta, balloon launch, ballooning, hot air balloons, New Mexico. Bookmark the permalink. Thanks for taking a look. The balloons are fascinating. And on my next trip, I’d like to see how much it would cost to be a guest rider! What a beautiful place to see, totally on my bucket list! The world’s most photographed event for a reason. Thanks so much for including us in your Ninth Month Blog Challenge. I’ll see what I can do to spread the joy! 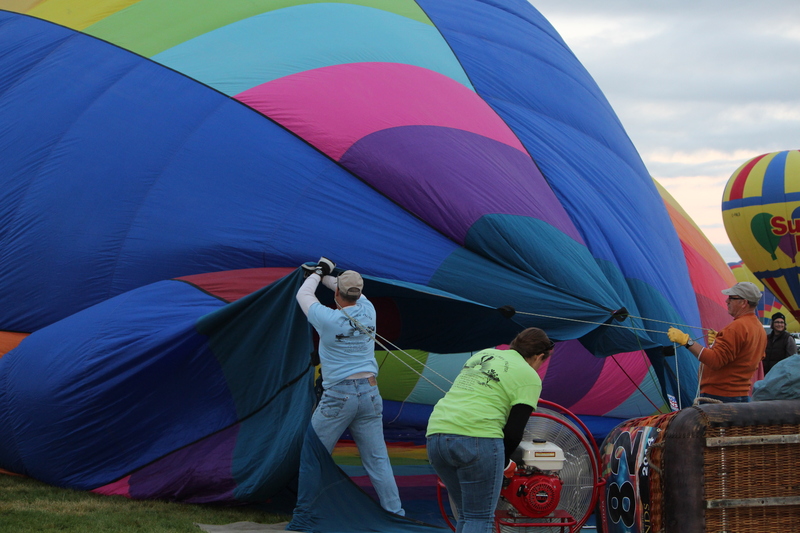 Appreciate your taking the time to take a look at this post on Balloon Fiesta, a special event indeed! One day we hope to get there. 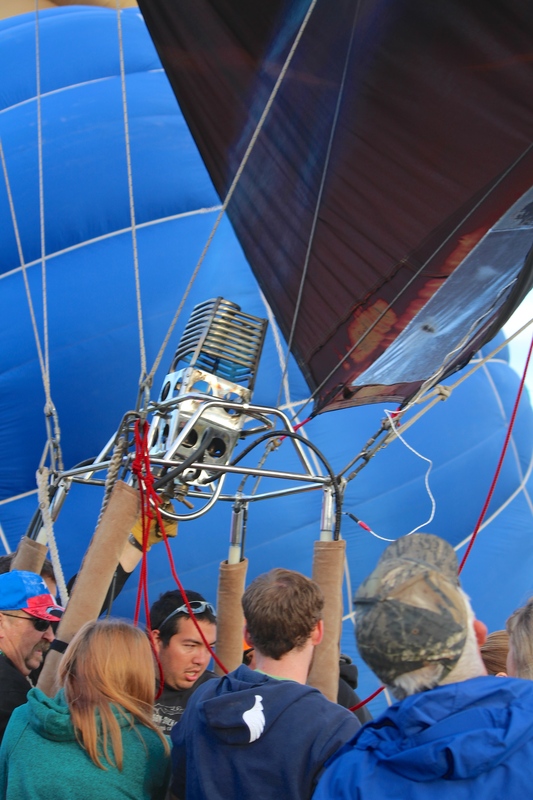 I was fortunate enough to help the crew and take a ride at a balloon festival in Scottsdale, AZ many years ago…great fun! Wow! You’ve had great experiences. Would love to try something different next time, like set-up, etc. Even going out in a chase car would be fun. It’s all good, I guess! Thanks so much for taking a look at this colorful, fascinating event. You are so right — it is touchy business launching these balloons. We attended two afternoon sessions, but the balloons weren’t allowed to fly, so to speak. Wind was the culprit. I’ll write about it later, but there are three flags that fly: green flag means GO, yellow flag means MAYBE, and red flag means the event has been called off for that session. So sad, but safety first. I’ve only experienced this once and loved every minute of it. Wouldn’t it be great to go again! Thanks for taking a look.